*Saved over $14,000 in Commissions!!! 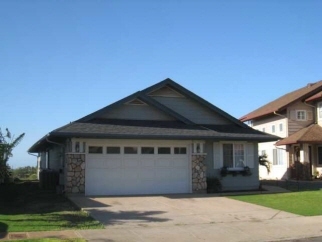 Single level home with soaring cathedral ceilings, extra large kitchen and overlooking the city of Kapolei. Kapolei Knolls is one of the newest developments in the area and includes a two acre private park and play area. Kapolei is the job and business growth center of Oahu and projected to double in size by the year 2025. *Savings based on companies that charge a 6% list fee.